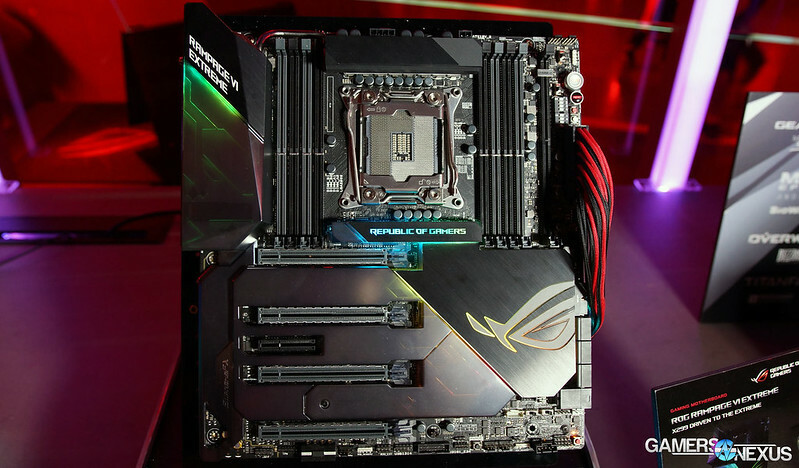 Thread: Rampage VI Extreme (LGA2066, Intel X299) - info, experience, BIOSes etc. Intel public HEDT CPus with platfrom Intel X299 at Computex 2017. The CPU reviews are still under embargo for short time ,-). But some informations are officially out and OK with Intels NDA. 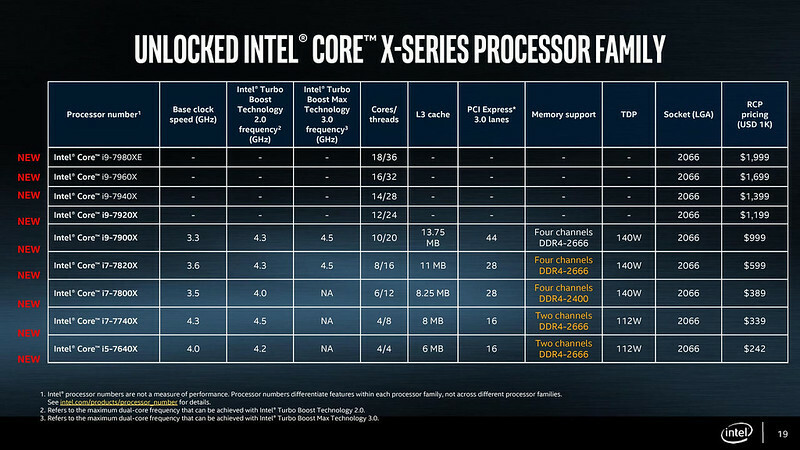 Intel X299 is really highend chipset for enthusiast CPUs. This year very powerfull, much more than anyone hoped. 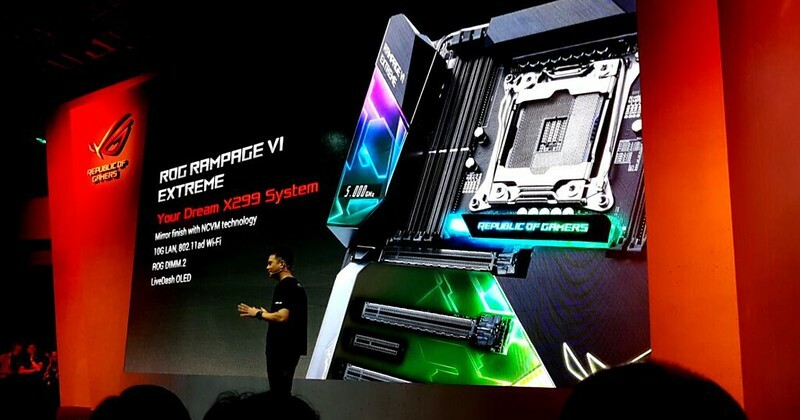 Because this year is AMD also very strong at CPU side (Announced not only 8 cores with SMT, but also up to 16C with SMT for AMD X399), Intel will launch step by step 6C/12T, 8C/16T, 10C/20T....Everything? 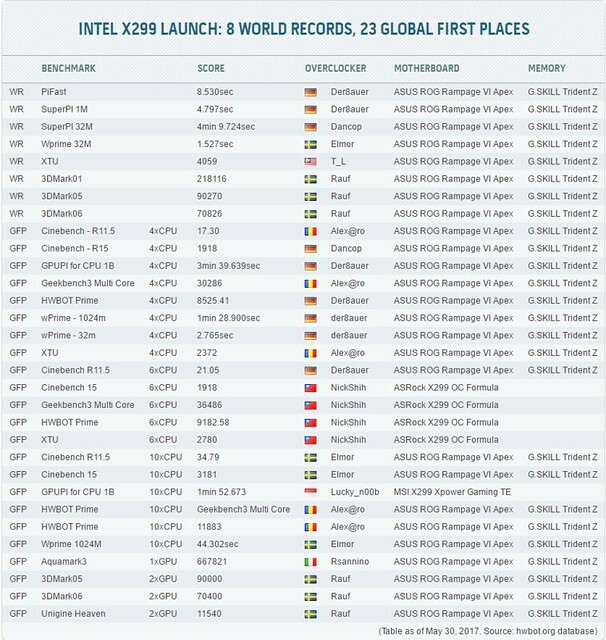 Nooo, continue it with 12C/24T, 14C/28T, 16C/32T and new flagship 18C/36T !!! New LGA2066 will be new one after 2011v3...Great value is, you can put in two generation CPUs. More info bellow. 1) Kabylake-X with new CPUs Core i5 X a Core i7 X. Those CPUs are KabyLake-X. Its basically Kabylake with more capacitors and bigger heatspreader. This could help with higher overclocking than classic Kabylakes. Kabylake-X have support only for dualchannel mode (up to 2666 MHz 1.2V). After XMP mode or manualy tweaking you can except everything between 3600 MHz to 4400 MHz at DRAM effective frequency. There is support for Quadchannel memory. Based at first results on web, the memory clock we can expect overclocking of RAM around 3200 to 3800 MHz. All depends on type of memory chips, quality of IMC particular piece of CPU. APEX series replaced Extreme series in extreme overclocking segment (yes, all fans of DICE, LN2 and LHe are focus directly at this board). This board broked many WRs after first day :-) There is example with informations about records from 31.5.2017. The motherboard support again up to 128 GB DDR4 DRAM in up to quadchannel (depends at your CPU - if KB-X or SK-X). In right upper corner are helpfull buttons START, RESET, PCIe and DIMM switchs. 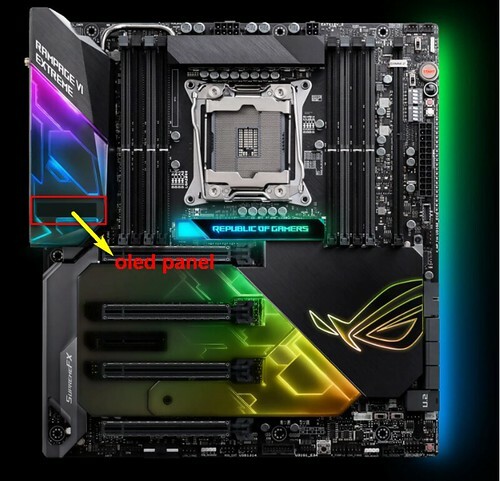 Also switch for slow mode, retry and safe button, RGB header and also great ROG DIMM.2 slot for NVMe M2 discs. So Extreme can be realized with Liquid Nitrogen also, if is it your hobby sometimes Look at crazy numbers of voltage meassuring points. The R6E has an onboard OLED panel that displays POST codes/info. Now that's very cool. Thanks Raja! For M2, we can put 2 M2 on the DIMM2 (noRAID, 1 for OS and other for DATA) ? Is there another M2 port on the PCB ? If yes, CPU or Chipset ?